On the average, Nigeria spends $10 billion every year to import certified welders engaged in various sectors of its economy, especially the oil and gas sectors, the Managing Director, Mudiame International Limited, Sunny Eromosele, has disclosed. Senator representing Nasarawa South senatorial district under the Peoples Democratic Party (PDP), Senator Sulieman Asonya Adokwe, has said no senator in the state from 1999 to date has done what he did for his constituency since his election to the senate in 2007. An aide to President Muhhamadu Buhari has accused the opposition Peoples Democratic Party (PDP) of looting not less than N2.9 trillion from 2005 – 2015. 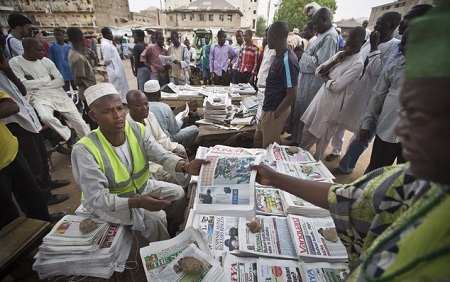 Traders in the Federal Capital Territory (FCT) have been urged to be law-abiding and to vote for candidates that will implement trader welfare programmes.